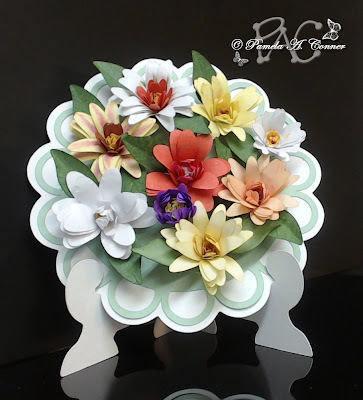 Pam of Yorkie Mom's Creative Corner has created a wonderful bouquet of paper flowers. I especially love her two-toned lily on the top left. She even detailed the leaf veins, for added realism. OK even I'm not that detailed! 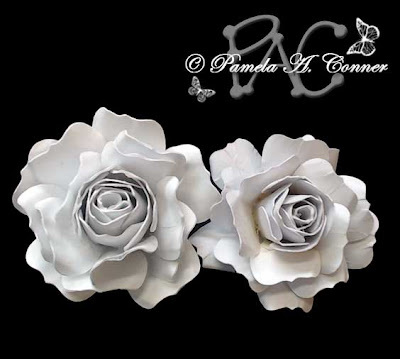 Next, I had to pick my chin off the floor when I saw how her paper roses turned out. 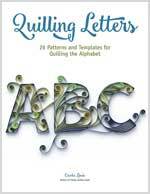 She's offering a free pattern on her blog - go check it out!